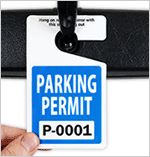 Discover how easy it is to get control of your parking lot. 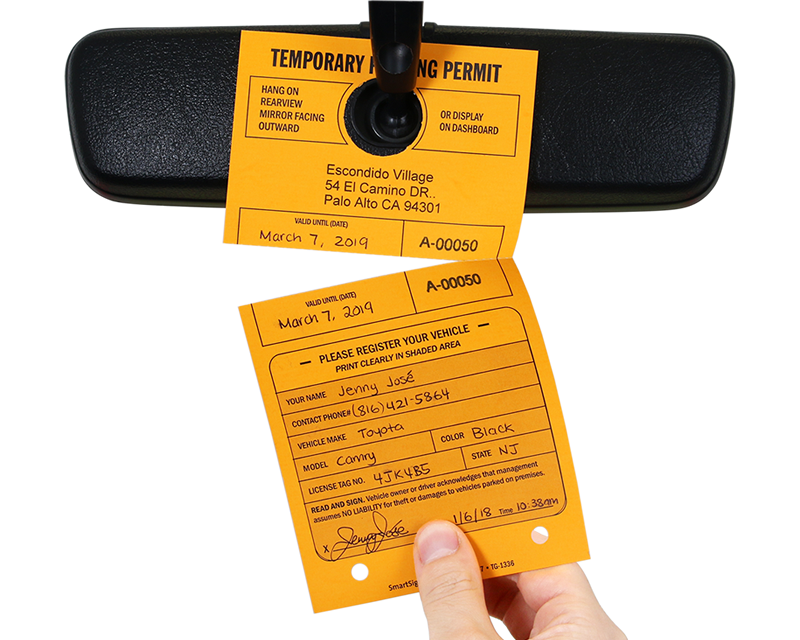 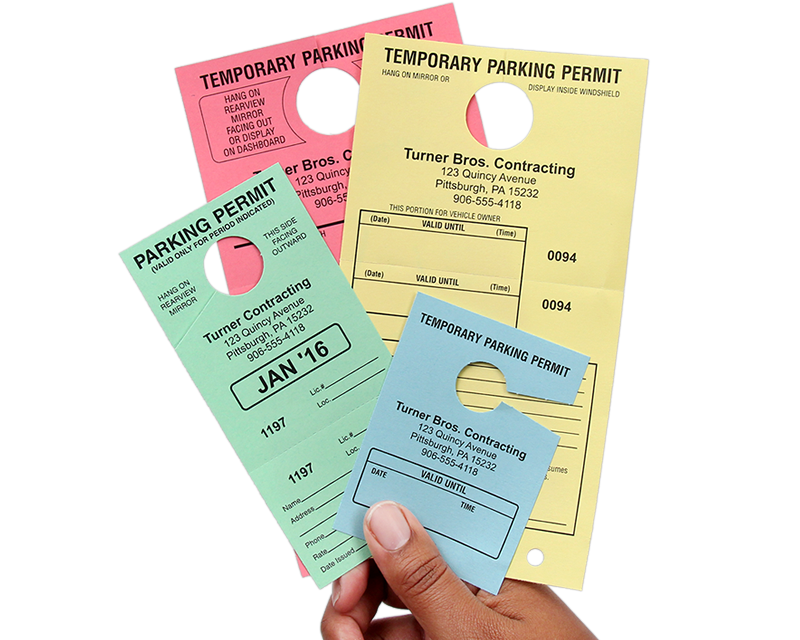 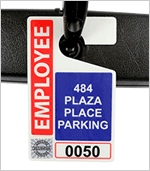 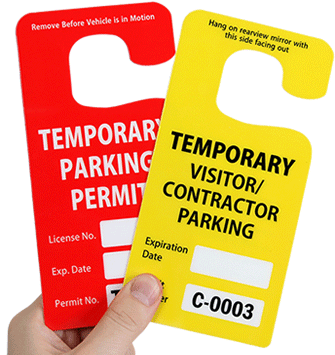 Low cost paper parking hang tags are ideal for temporary parking passes. 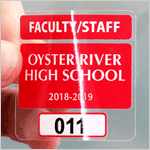 • See our most popular designs below. Customize with your logo and property address at no charge. • Find over 12 different colors for easy coding by month or type of pass. • All permits are numbers for tracking. 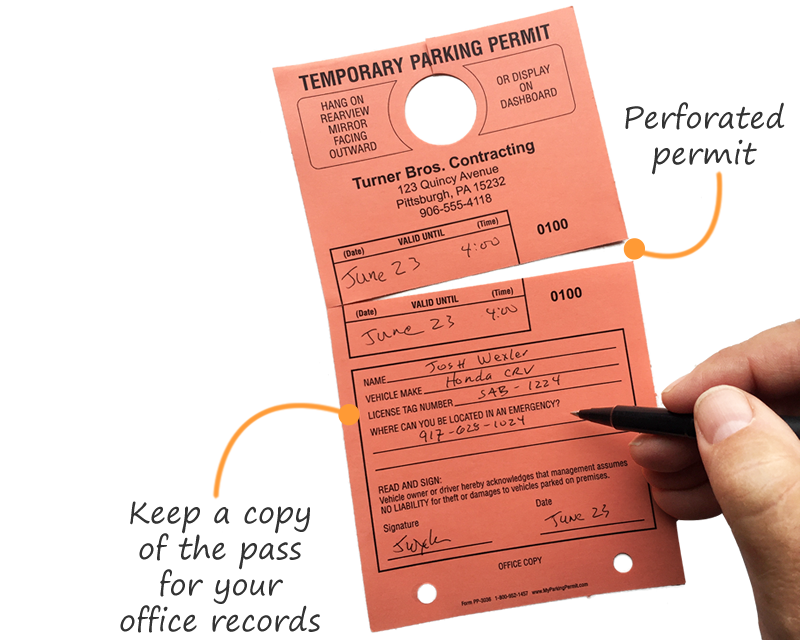 • Tear-off stubs give you an office record and, for some designs, a signed copy of the liability waiver for your lot. 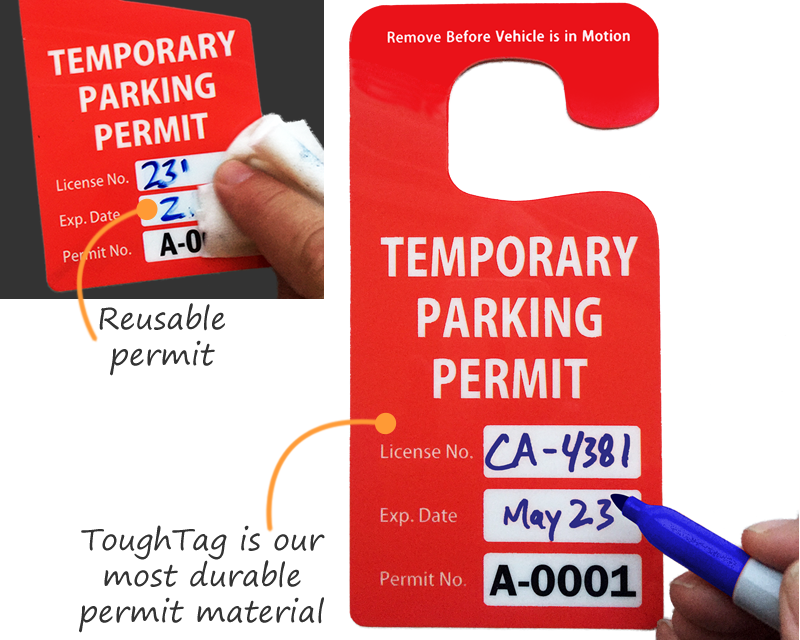 Love the tags! 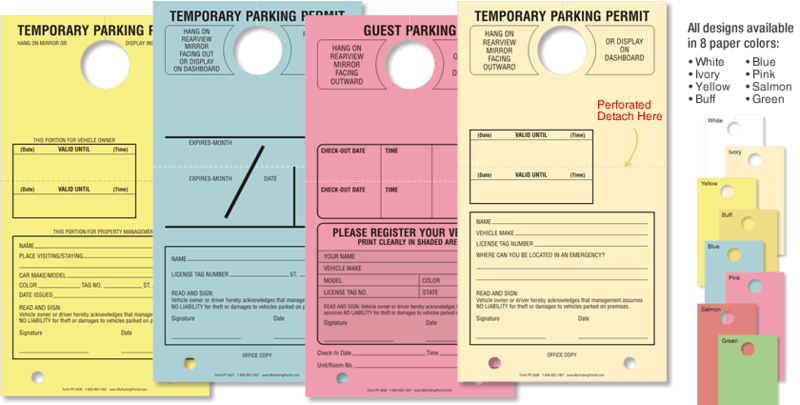 I have reorder many times and are always very satisfy. 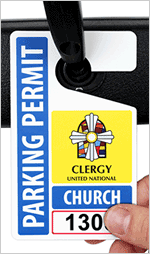 Received item in two weeks. 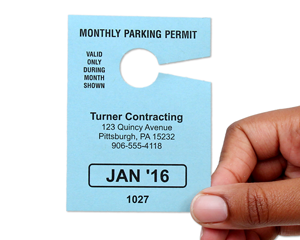 The variety of colors helps distinguish each month but additional colors for other months would be preferable than a repeat. 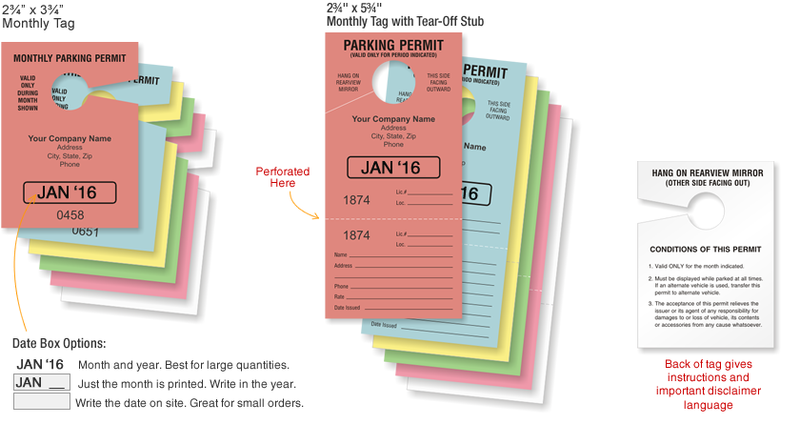 The card stock # could be a little heavier.